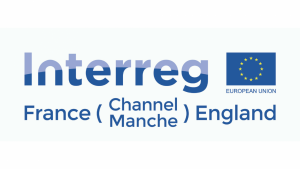 As previously announced, the Interreg France (Channel) England Programme is organising a series of workshops focusing on natural and cultural heritage. These workshops aim to help you better understand how you can apply for EU funding under the Programme’s specific objective 3.1. They are also a great opportunity to identify some of the local heritage priorities in your area and meet other similar organisations interested in working on a cross-border project. One of these workshops will take place in Bournemouth, in the afternoon of Wednesday, 21st of June 2017. To attend the workshop, please register here. Please note places are limited and will be allocated on a first come first served basis. This event will take place on our Lansdowne Campus, which is easily accessible by public transport. For details of our other workshop locations and dates click here. You can already check some projects looking for partners under Specific Objective 3.1. Please share this information with colleagues! 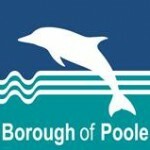 Bournemouth University are pleased to announce that Christelle Pereira, Interreg VA France (Channel)-England Programme Facilitator will be delivering an information session in the afternoon of Wednesday, 21st June 2017. The main topic for this event will be Cultural Heritage. This event will take place on our Lansdowne Campus. Details are being finalised, so watch out for further information and the link to registration on this blog. This event will be open to external attendees as well as BU staff. Find out more about the Interreg VA France (Channel)-England Programme and all the Interreg opportunties that are open to organisations in the UK.